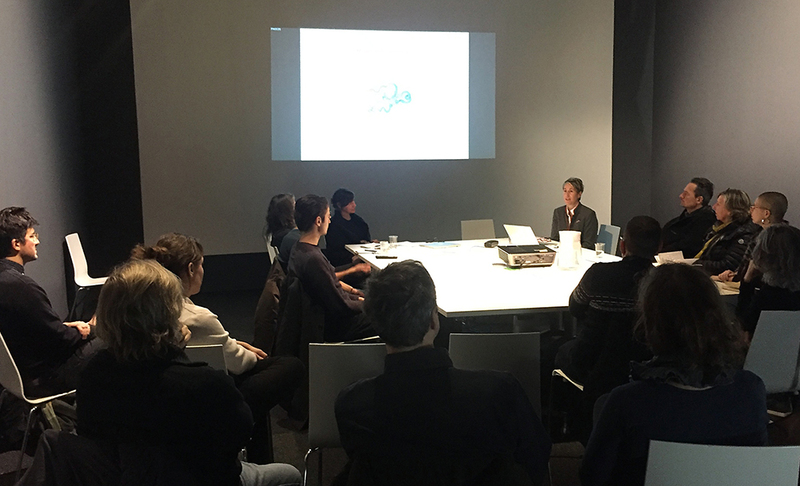 Conference and conversation with Cristina S. Martinez, Ph.D.
Conference at VOX, December 11, 2018. 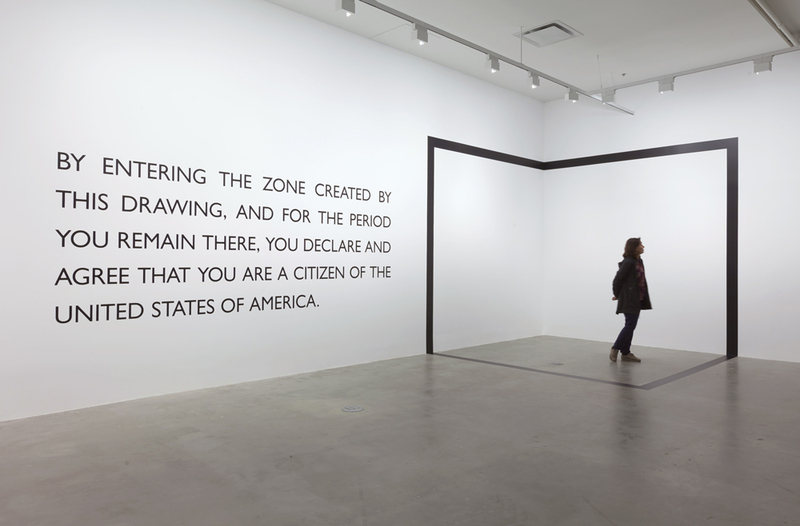 Carey Young, Declared Void II, 2013, site-specific vinyl installation, dimensions variable. View of the exhibition The Radical Imaginary: The Social Contract, VOX, from September 13 to December 15, 2018. Courtesy of the artist and Paula Cooper Gallery, New York. As part of the exhibition The Radical Imaginary: The Social Contract, VOX invites you to a conference and conversation with Cristina S. Martinez, a doctor of art history specialized in the interactions between visuality and law. 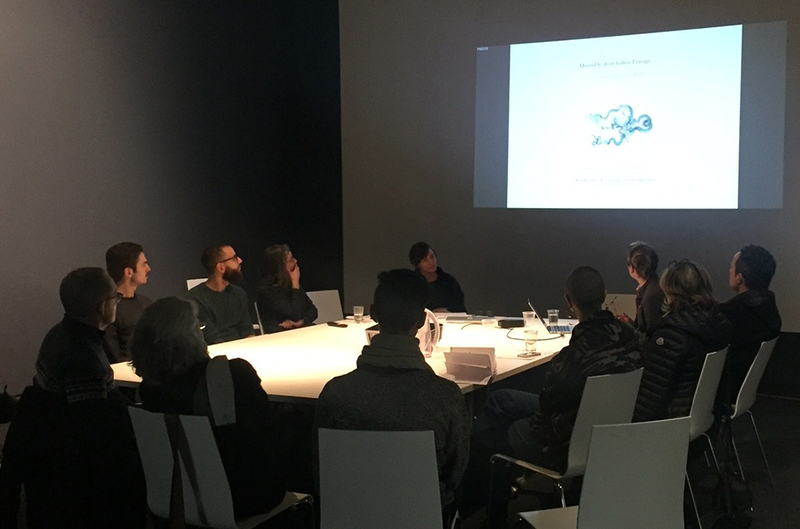 After a brief presentation of her recent research, she will discuss the artworks currently presented at VOX with curator Marie J. Jean. The presentation, in French, will last approximately one hour, and will be followed by questions and a discussion with the public. Cristina S. Martinez holds a Ph.D. in Art History and Law from Birkbeck College, University of London, and completed a Postdoctoral Fellowship at the University of Toronto. She is an Adjunct Professor in the Department of Visual Arts at the University of Ottawa and a faculty member of the International Summer Institute for the Cultural Study of Law, Universität Osnabrück (Germany). She has presented her work on art and law at Yale Law School’s library and the National Portrait Gallery in Washington, among others, and has been invited at conferences around the world, from Switzerland to Australia. Dr. Martinez is currently completing her manuscript Art, Law and Order: The Legal Life of Artists in Eighteenth-century Britain, to be published by Manchester University Press, and is the official biographer for the forthcoming entry on Jane Hogarth in the Oxford Dictionary of National Biography. She is also working on a series of projects on appropriation art in Canada with Janice Gurney, and is a member of Research + Art Initiatives Toronto, a collective of like-minded artists, historians of art and visual culture, and curators. Overall, her research focuses on eighteenth-century art and culture, the interactions between visuality and law, political satire and libel law. She is also interested in modern and contemporary art, appropriation strategies, and copyright law.